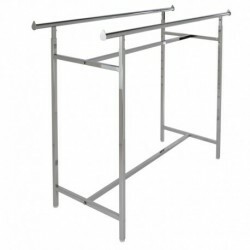 A Double Rail Garment Rack is a very versatile choice for today's retailers. 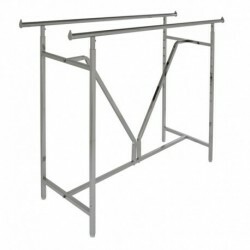 The garment rack features 2 hang rails providing lots of hanging space. 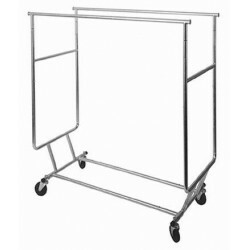 Each hangrail is adjustable in height and sturdy to provide years of service. 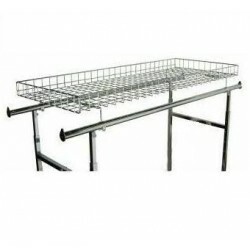 Double Rail Rack Grid Shelf. Maximize your selling space with this sturdy grid shelf. 23"W x 57"L with a 3"lip on all sides. 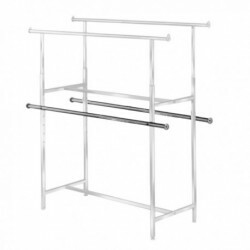 Fits any Double Rail Rack. Tandem Hangrail. 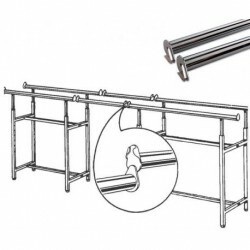 Gain capacity of a third rack for a fraction of the cost. 1 1/4" diameter x 60"L. Sold in pairs.